Perhaps your belt is already full or perhaps your look will not support a belt. Either way makes carrying a sword difficult. 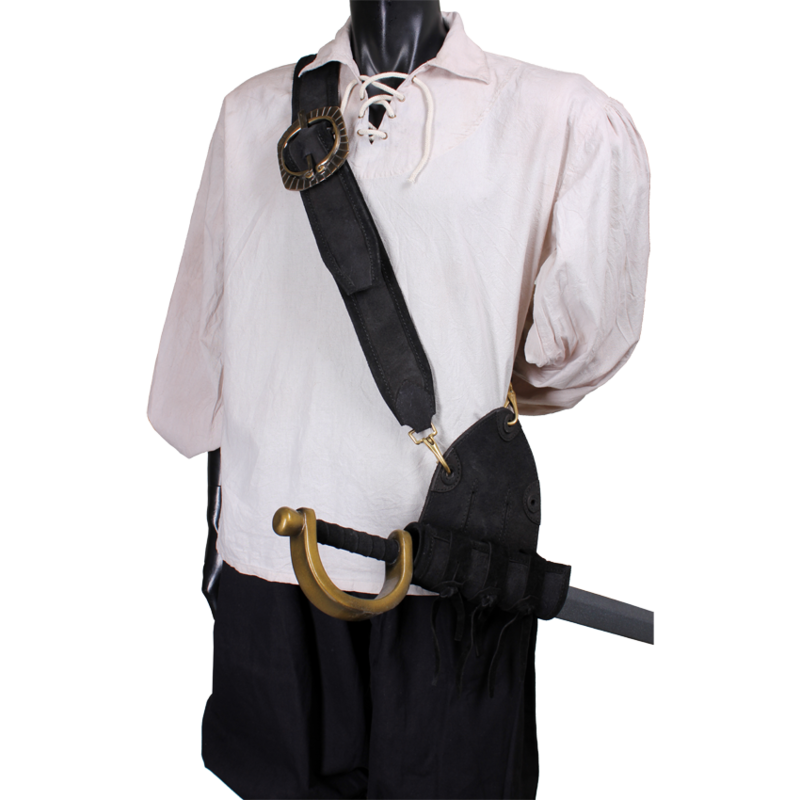 At least it would if you did not add this Musketeer Baldric to your attire to keep your sword safe and secure at your side! 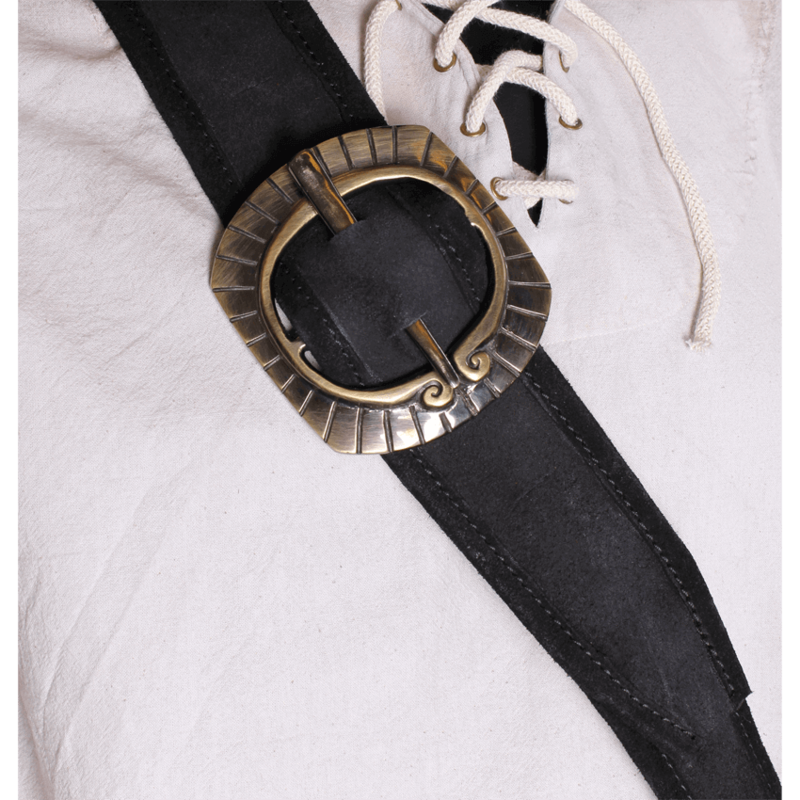 Crafted entirely from fine leather, this Baldric evokes the look of the same sword baldrics that swordsmen would have favored in old France and Spain, especially for those who served the crown. 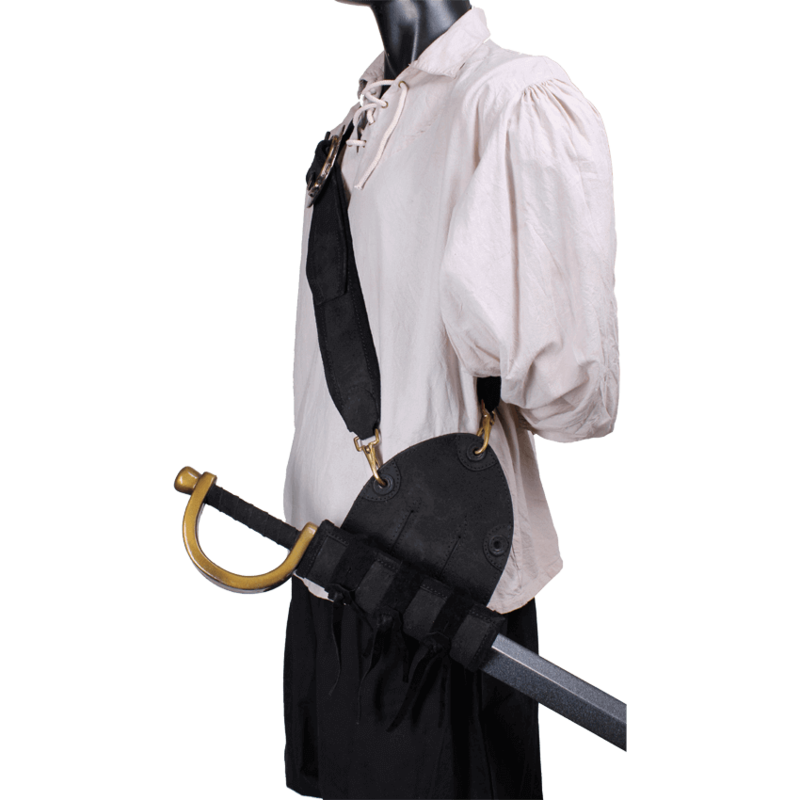 It is highly adjustable and can be made to fit almost any height, while providing a good way of supporting your sword at your hip. It can be worn on either side. 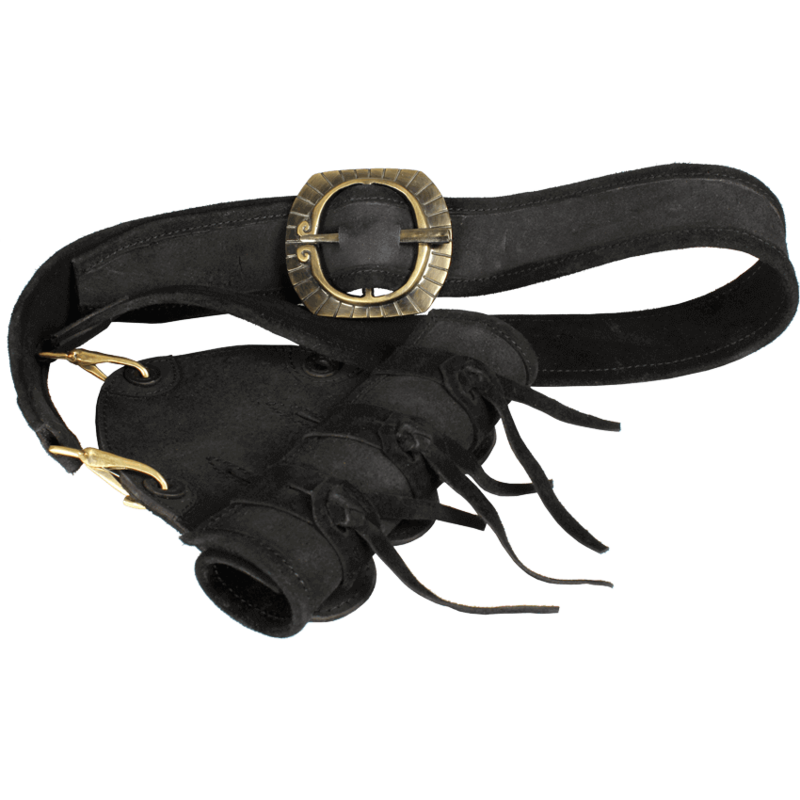 If you are completing your ideal musketeer look, this Leather Musketeer Baldric is a must. 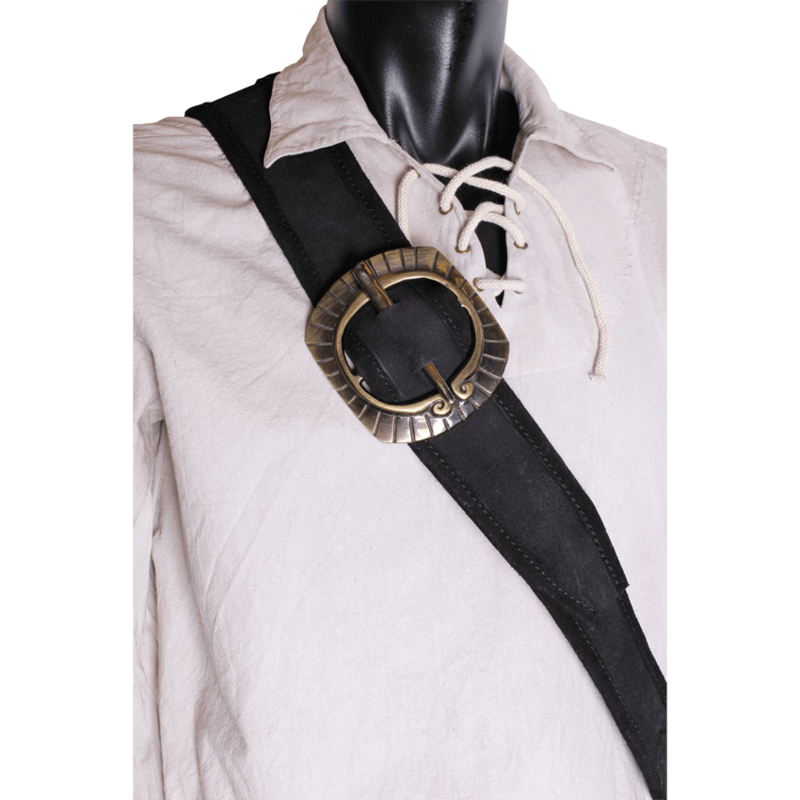 If you just want a good way to secure your sword while adorning your look, this is also a perfect piece to wear.